Spots when you’re a teenager are part and parcel of the adolescent experience. Add in braces, grown spurts and questionable hairstyles and you’ve got a recipe for awkwardness. What’s more frustrating is when those bothersome blighters continue past your graduation date - or worse, lie dormant for years before coming back with a vengeance. There’s a few reasons for acne returning: it could be a hormonal imbalance (all too common with flip-flopping on and off hormonal contraception), it could be stress-related (stress makes your body produce more cortisol which leads to blocked pores) or it could be down to your diet (an undiagnosed intolerance, a passionate love affair with cheese). Just as many solutions exist as do causes - so you’ll find something that suits your skin type and budget. Your therapist will be able to help you choose the right treatment for you, so don’t be afraid to ask lots of questions! Entry-level treatments for occasional or mild breakouts include deep clarifying facials using clay masks to rinse out your pores and mop up excess oil - your therapist will probably recommend some at-home products for you too. Then, you can try blue light therapy, which uses blue LED light to kill off the acne-causing bacteria - making it perfect for more stubborn cases. It’s also totally non-invasive, and requires no downtime and doesn’t leave your skin more sensitive. The big guns include peels. 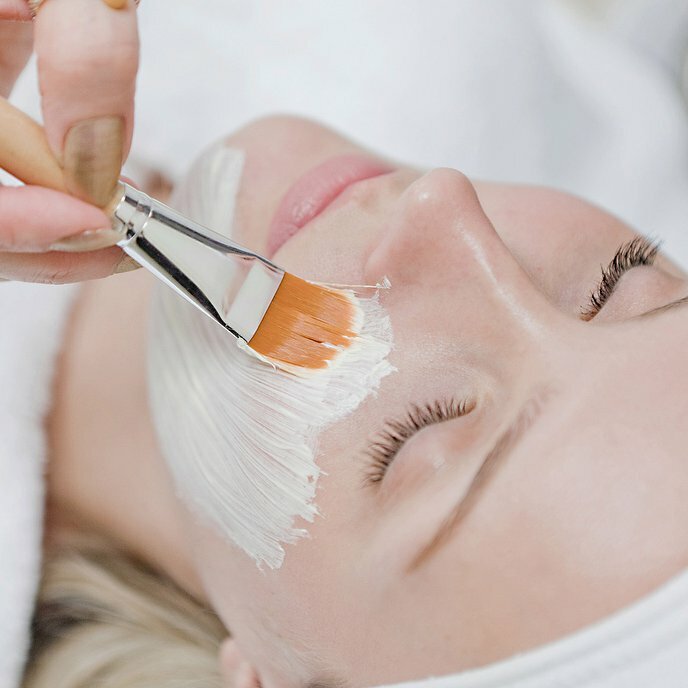 Chemical peels sound scary - and indeed, they might tingle quite a bit - but they’re nothing to be afraid of. Exfoliating acids will be applied to your skin at a clinical strength (making them a lot stronger than anything you could buy over the counter), which will scrub away the dead skin and clean out your pores. It’ll also help minimise the risk of scarring. Your therapist will be able to help you choose the right treatment for you, so don’t be afraid to ask lots of questions!